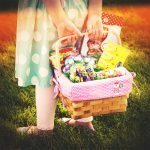 Natural brands are on the hunt to replace the mainstream confectionary in consumers’ Easter baskets this year. 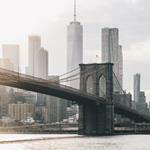 As the desire for cleaner, better-for-you products has become more mainstream and gained traditional retailer support, natural candy companies have hopped to capitalize on seasonal holidays. Taza Chocolate, a pioneering bean-to-bar maker of organic stone ground chocolate, will debut two irresistible new Amaze Bars at Natural Products Expo West Booth #1691. Project 7 proudly announces new Special Edition gum and mints inspired by everyone’s favorite Girl Scout Cookie flavors, created under a new licensing agreement with Girl Scouts of the USA. Crio Bru today announced online availability of new products at the Northwest Chocolate Festival in Seattle. The Durci lineup of artisan chocolate bars is now expanded to include premier chocolate covered Nibs, Raisins, Almonds and Cocoa Beans, two Durci Drinking Chocolate Drinks complete the expanded line up. With the modern family constantly on-the-go, Wholesome! and Surf Sweets brands are introducing timesaving yet craveworthy items to their popular product lines. RJ’s Licorice, a pioneer of Soft Eating Licorice has introduced two new flavors to it’s all natural, non-GMO soft eating licorice range – all natural Mango Licorice and all natural Orange Licorice. 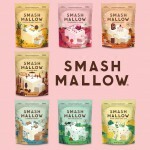 While National S’Mores Day isn’t until tomorrow, the beloved dessert added some sweet new ingredients with the launch of SmashMallow snackable marshmallows today. 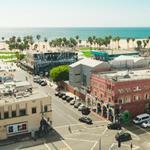 A product of Sonoma Brands, the incubator and investment group from KRAVE founder Jon Sebastiani, the line of seven flavor “smash-ups” will exclusively launch in Sprouts and online direct to consumer. For bags of broken chocolate bars, Hershey broke the bank. 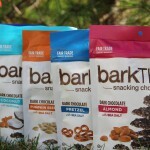 The massive chocolate company announced today that it had acquired the Ripple Collective, which produces fast-growing snacking chocolate line barkTHINS. Hershey has been diversifying its business from being solely confection-focused to offer more healthy snacking options through acquisition and innovation.